Protect your equipment and surfaces from dust and scratches!. Microfiber technology is tough on dirt and gentle on delicate surfaces. High-tech Microfiber material grabs hold of dirt, grease, dust and grime and locks onto them. 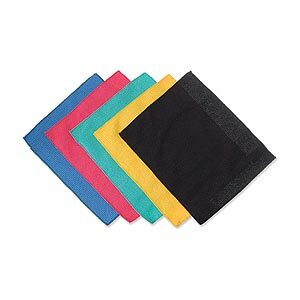 Use these cloths to clean just about any hard surface around your home or office including computer equipment, monitors and workspace areas. Reuse over and over by simply throwing them into the laundry and washing them along with your clothes.